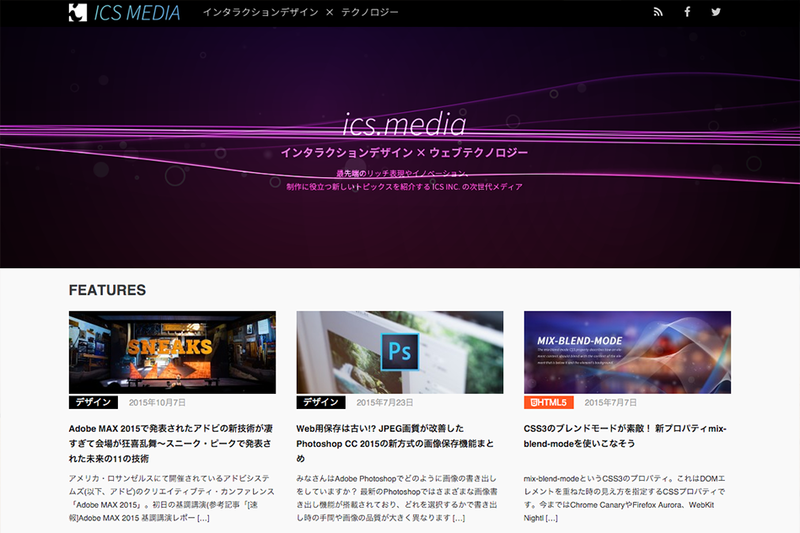 ICS is a web production company specializing in interaction design and owned media. Why did you choose AMIMOTO (HTTP/2)? We chose AMIMOTO (HTTP/2) to improve the performance and fault tolerance of WordPress. The report (article) we published in October 2015 (https://ics.media/entry/9877) became high demand. Due to huge traffic and high load average to the server, our rental server had access restrictions to our website. This inaccessible state lasted for several hours. We have missed lots of access because we used shared hosting server, so we could not scale our server up or release access restrictions to it. When we considered migrating to AWS or Google App Engine to solve the problem, we learned about AMIMOTO. How did you know about AMIMOTO? The CTO of our partner company told us about AMIMOTO AMI. He’s familiar with AWS. When did you decide to use AMIMOTO (HTTP/2)? We can use WordPress from performance tuning state, and it corresponds to the latest HTTP/2. In late September 2015, we heard about nginx corresponding to HTTP/2. In early November, AMIMOTO released AMIMOTO (HTTP/2) AMI. The development cycle is fast! Before getting started with AMIMOTO (HTTP/2) was there anything you got worried about? We were worried that the management of AMIMOTO will be difficult. We did not feel comfortable with the freedom of customization. However, the instructions were excellent because it’s easier than what we expected in AMIMOTO, so we were able to start easily in self-hosting. We can customize themes without any problems at all, and we can operate our site with our own theme design. Please tell us about the performance of AMIMOTO AMI. In Google Analytics page speed measurement, the old rental server took about an average of 12 seconds. With our migration to AMIMOTO, it was reduced to 5 seconds. In some cases, the loading time has been reduced from 5-10 times depending on the page. For what projects / sites do you use AMIMOTO (HTTP/2)? We use it on ICS MEDIA which is our web technology information site. It is still a small scale of the site, but we have been operating with the aim of 1 Million PV/month. AMIMOTO (HTTP/2) can handle huge sites, so we are confident we can operate it. What are the benefits of using AMIMOTO (HTTP/2)? We place a lot of images or files in our posts. The benefits of HTTP/2 protocol is that the number of simultaneous connections to the server is increased from the browser. It’s possible for the browser to get a large number of files at the same time. In other words, it becomes possible to speed up the loading time. We think WordPress and AMIMOTO HTTP/2 are best friends. Do you have any advice to those who will use AMIMOTO (HTTP/2)? Start small. Use micro instance for your AMIMOTO experience. HTTP/2 AMIMOTO gives you ultra high performance server. We’re currently operating WordPress in a single server. We’re planning to separate the app server and the static file delivery server for fault tolerance improvement. We can choose CDN (WP Booster) optional service, but we’re waiting for it to correspond with HTTP/2.